Cross-cultural missions today: history or priority? 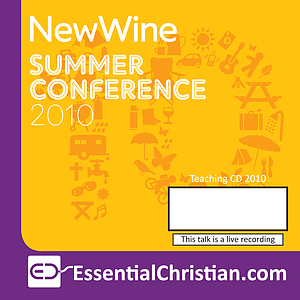 is a Rev Ross Paterson talk recorded at New Wine - 2010 on Church History available as MP3 Download format. Does it matter that billions of people today have never heard the gospel? Is it anything to do with us that 2,000 years after the Lord Jesus died and rose again there are people groups who have never had a single believer in their midst? Surely that is for the Chinese church to worry about, and is part of our history, not our present and future. What if that is wrong, and we are in rebellion against the Lord Jesus when we think like that? Be the first to review Cross-cultural missions today: history or priority? a talk by Rev Ross Paterson! Got a question? No problem! Just click here to ask us about Cross-cultural missions today: history or priority? a talk by Rev Ross Paterson.